Highlights of Brentford's 4-2 win over Bristol City from Ashton Gate. Andre Gray impressed once again as Brentford beat 10-man Bristol City 4-2 at Ashton Gate. Luke Freeman was dismissed on 35 minutes for a high kick on Brentford defender Harlee Dean, as Bristol City continued their poor start to the Sky Bet Championship. The challenge looked more awkward than malicious, but referee Keith Stroud reached for the red card after consulting with his assistant. Furious City boss Steve Cotterill made his feelings clear to both officials and Dean was roundly booed by home fans when recovering after lengthy treatment. Last season's League One champions had stormed forward from the start and took less than two minutes to go in front as summer signing Jonathan Kodjia fired home from Luke Ayling's pass. Alan Judge equalised for Brentford on nine minutes, firing into an empty net after new City keeper Ben Hamer could only parry Gray's shot into his path. The hosts were back in front on 23 minutes, last season's top scorer Aaron Wilbraham rising to nod home Marlon Pack's corner at the near post. But it was all square at the break, City defender Derrick Williams volleying a Judge cross from the left into his own net on 40 minutes. 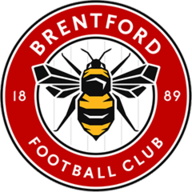 There was more controversy in first-half stoppage time when Brentford centre-back James Tarkowski had to be substituted with a facial injury after what he claimed was an elbow from Wilbraham. No action was taken against the City striker. The visitors came out for the second half determined to make their man advantage tell, but Kodjia fired over for City before their defence was breached again. Alan McCormack got forward down the right on the hour and pulled the ball back for Gray to net with a fierce first-time finish from 12 yards. Eleven minutes later Philipp Hoffman held off a weak challenge from Williams and turned to settle the outcome by firing low past Hamer from just inside the box. The second half was in contrast to the eventful first - Freeman's dismissal came after an opening 35 minutes in which City could easily have scored five. Apart from the goals, Kodjia shot wide with only Button to beat, while Wilbraham was also off target with a close-range effort and fired straight at the Brentford keeper from eight yards. Kodjia fired over from an Ayling cut-back and, with Joe Bryan causing havoc on the left, Brentford looked wide open. At the other end Williams cleared off the line when Hamer palmed a centre from Andy Gogia across goal, but the visitors were distinctly second best until their opponents were reduced to 10 men. "Luke wasn't looking at the lad as the ball came over his shoulder so I'm not sure it was a red card and I was disappointed that some Brentford players surrounded the referee. It was reckless and I wouldn't have argued with a yellow card, but Luke was looking to bring the ball down and had absolutely no intention of harming an opponent." "I thought the red card was justified because it was dangerous play and it certainly worked positively for us. 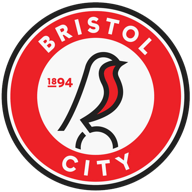 Bristol City play good football and were better than us for the first 35 minutes. But I felt we made the man advantage tell in the second half."